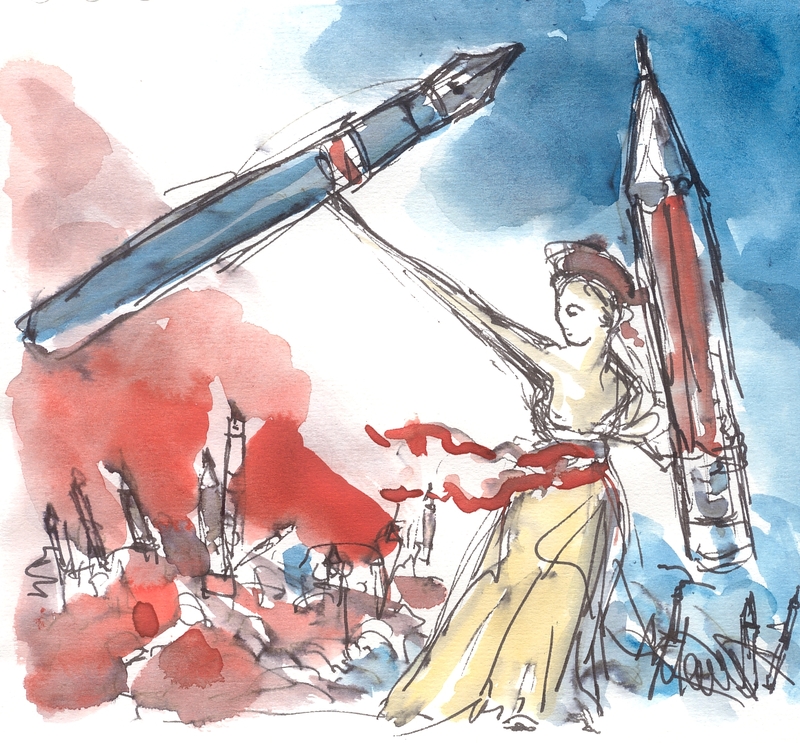 Je suis Charlie: Pick up a pencil! We’ll keep on drawing, even more! I love the original painting by Delacroix – one of the best I’ve ever seen.